Rumor has it that Grandma devised this recipe to use up two ingredients that were always in abundant supply: chicken (which they raised) and pecans (from the pecan trees on the farm). Make this salad part of your Cajun Picnic. Combine all ingredients, mixing thoroughly but gently so the salad has a light, fluffy texture. When poaching or baking a whole chicken for chicken salad, or any dish requiring boneless chicken, one 5-pound (raw) chicken will yield about 2 1/4 pounds of cooked boneless, skinless chicken meat- more than you need for this recipe, but leftover chicken is always wanted for gumbo or jambalaya. 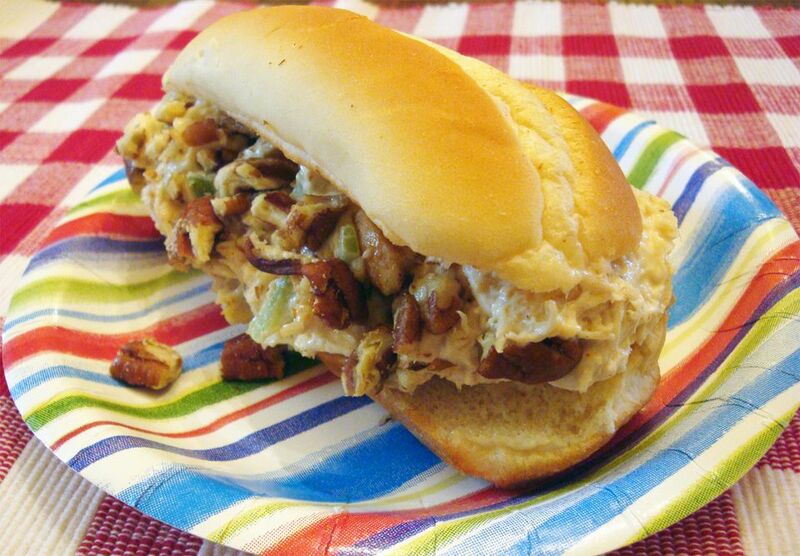 This Southern-style chicken salad is another excellent option, or take a look at our top chicken salad recipes.